Brandeis University Press, 9781611689501, 248pp. Orit Rozin’s inspired scholarship focuses on the construction and negotiation of citizenship in Israel during the state’s first decade. Positioning itself both within and against much of the critical sociological literature on the period, this work reveals the dire historical circumstances, the ideological and bureaucratic pressures, that limited the freedoms of Israeli citizens. At the same time it shows the capacity of the bureaucracy for flexibility and of the populace for protest against measures it found unjust and humiliating. 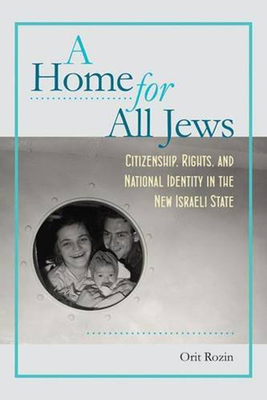 Rozin sets her work within a solid analytical framework, drawing on a variety of historical sources portraying the voices, thoughts, and feelings of Israelis, as well as theoretical literature on the nature of modern citizenship and the relation between citizenship and nationality. She takes on both negative and positive freedoms (freedom from and freedom to) in her analysis of three discrete yet overlapping issues: the right to childhood (and freedom from coerced marriage at a tender age); the right to travel abroad (freedom of movement being a pillar of a liberal society); and the right to speak out—not only to protest without fear of reprisal, but to speak in the expectation of being heeded and recognized. This book will appeal to scholars and students of Israeli history, law, politics, and culture, and to scholars of nation building more generally. ORIT ROZIN is a senior lecturer in the Department of Jewish History at Tel Aviv University and the author of The Rise of the Individual in 1950s Israel: A Challenge to Collectivism.